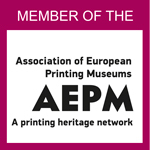 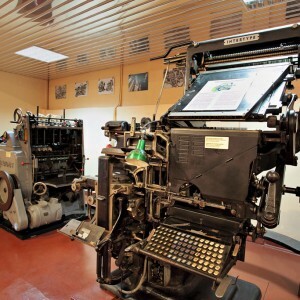 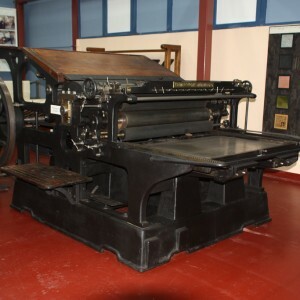 Machinery and exhibits that date from the Middle Ages and the start of european Printing are on display in the first wing of the museum, alongside automatic printing presses of the 20th century. 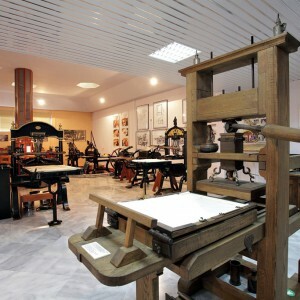 a true copy of the Gutenberg printing press gives the mark of that era. 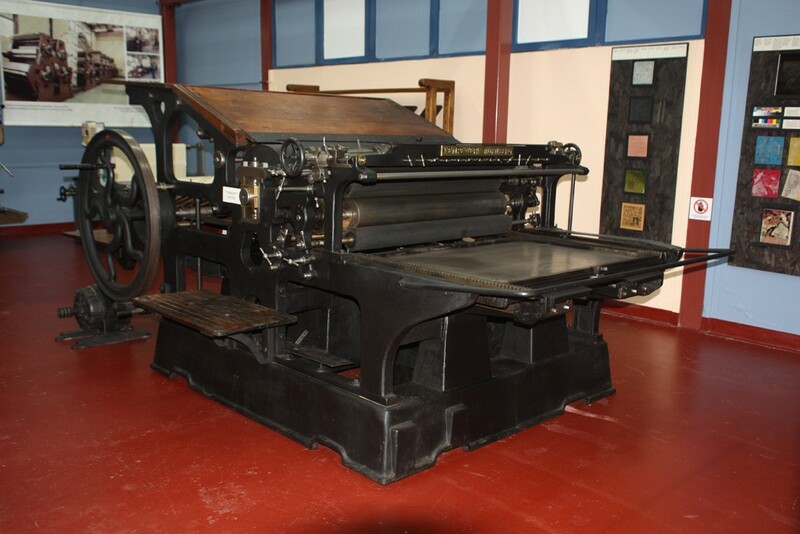 Foot-operated Victoria printing presses, bought from Germany, the Netherlands and Switzerland, as well as one donated by a Greek typographer, mark the course of typography in time, while numerous, smaller, hand-operated Boston-type printing presses adorn the museum areas. 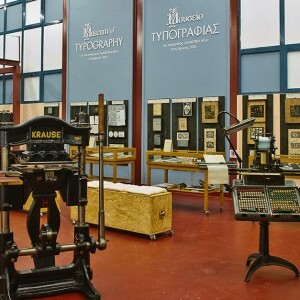 Typesetting benches where the typesetter would compose the text, letter by letter, using cast iron type, dating from Gutenberg’s time in the 15th century to the beginning of the 20th century, coexist with the machine of mechanical typesetting which dominated the largest part of the 20th century, linotype. 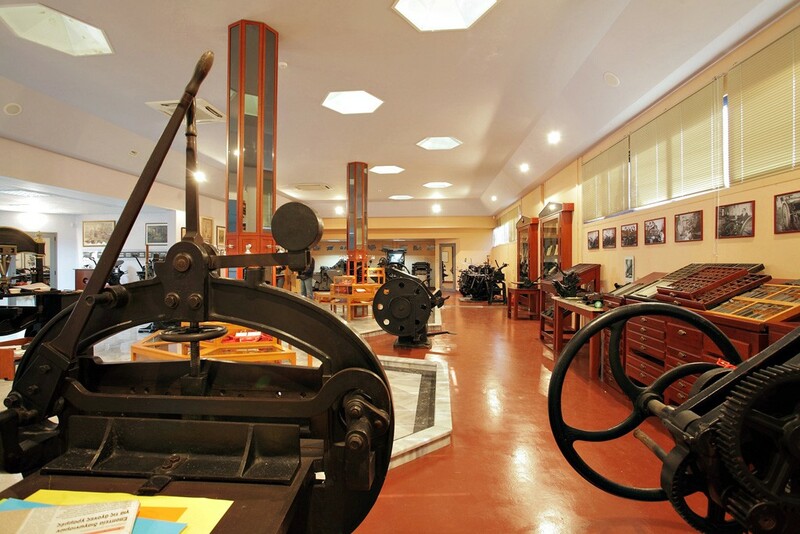 This is the “industrial” wing of the museum, since until 2008 it housed the printing presses of the newspaper “Haniotika Nea”, today located at a nearby building. 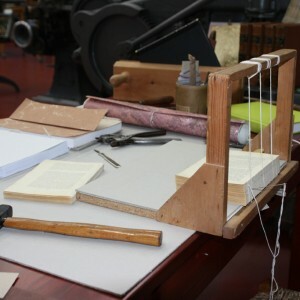 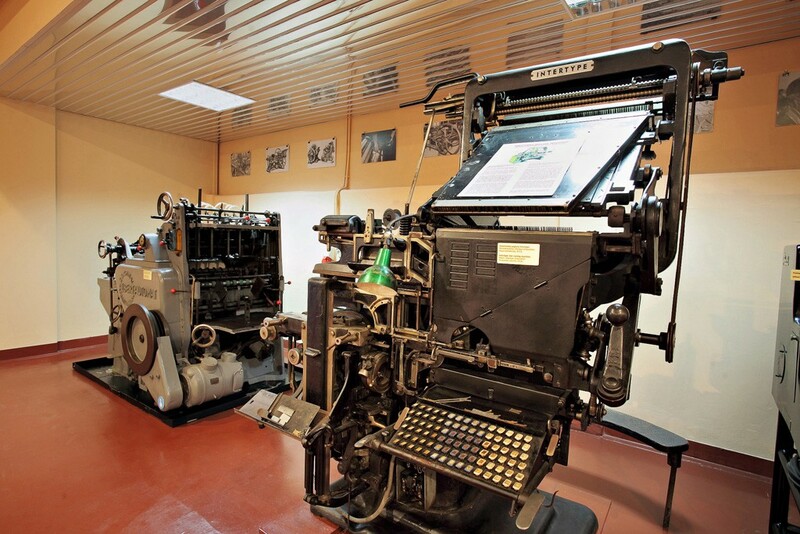 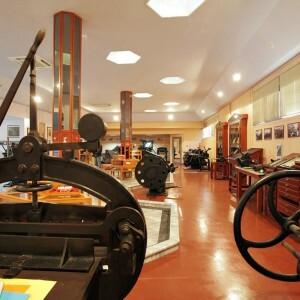 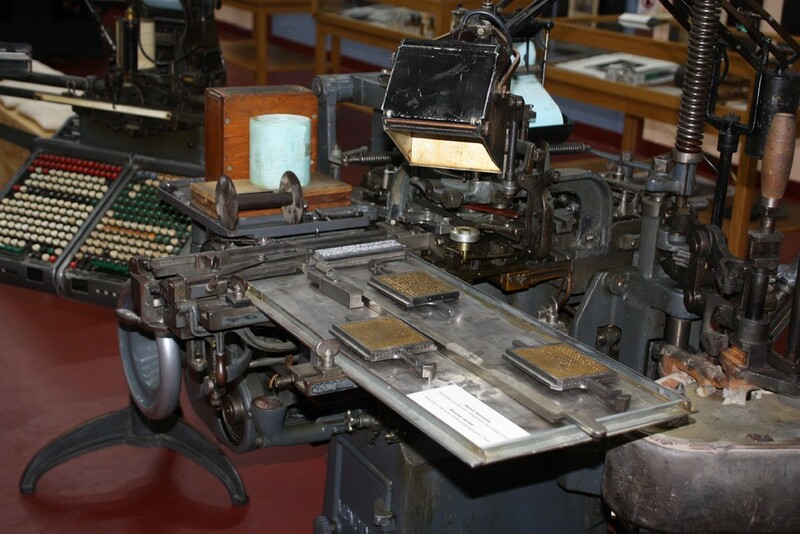 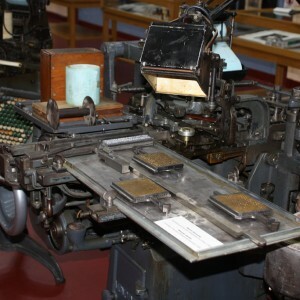 Almost every technique related to printing is on display here: Book binding, copper engraving, wood egraving, silk screen printing, monotype typesetting machine, offset, telex, engraving machine and one offset tower from the old web press of the newspaper. 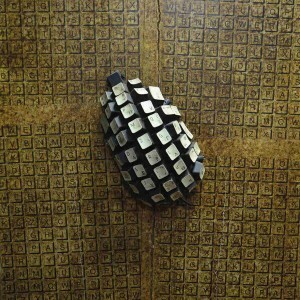 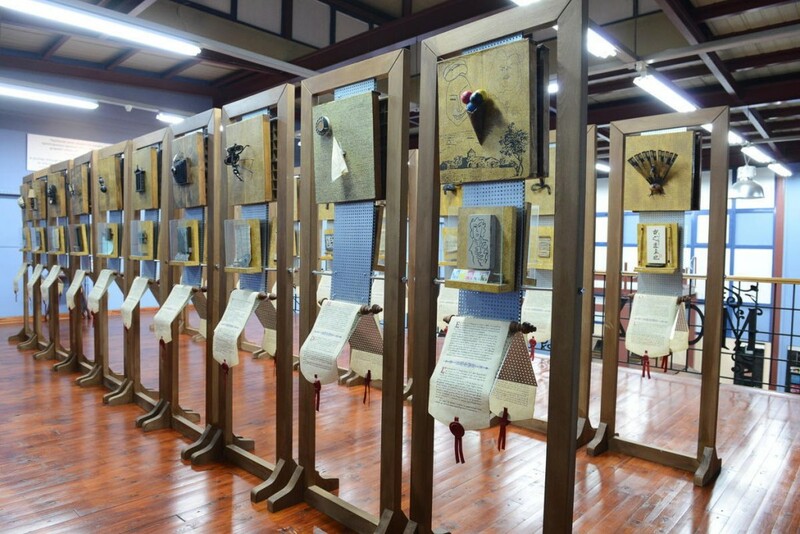 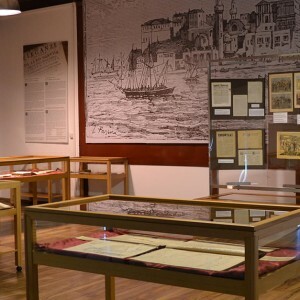 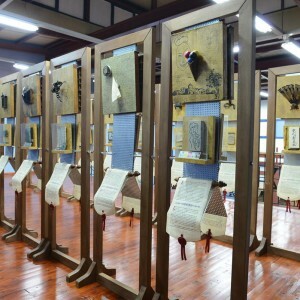 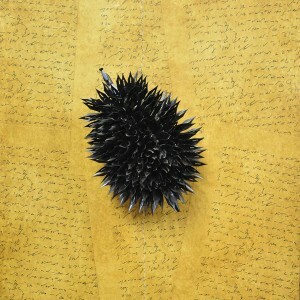 A unique exhibition consisting of 40 panels with artistic and informational material on the history of Writing. 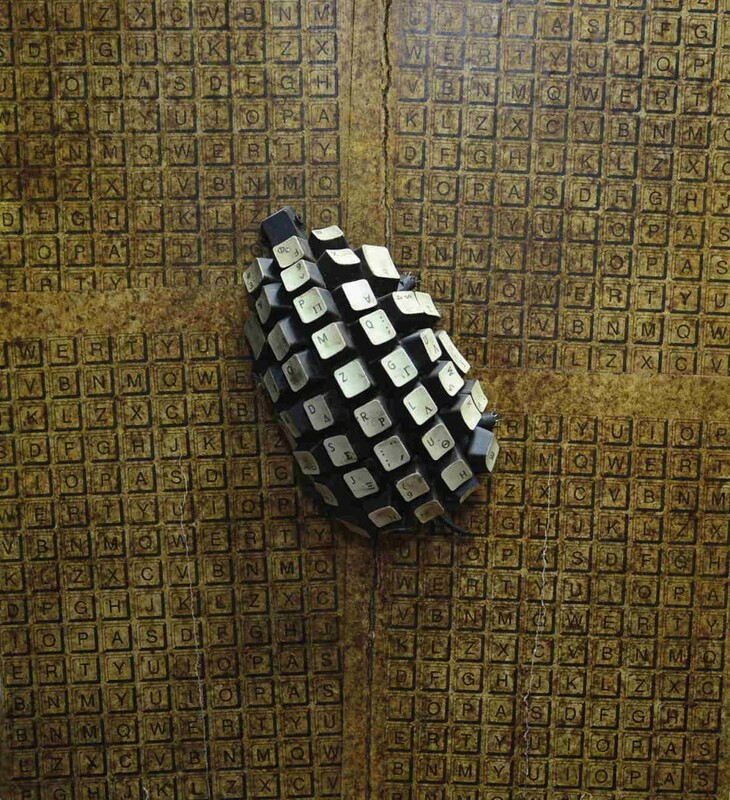 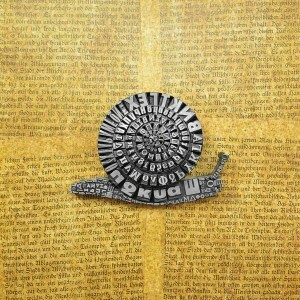 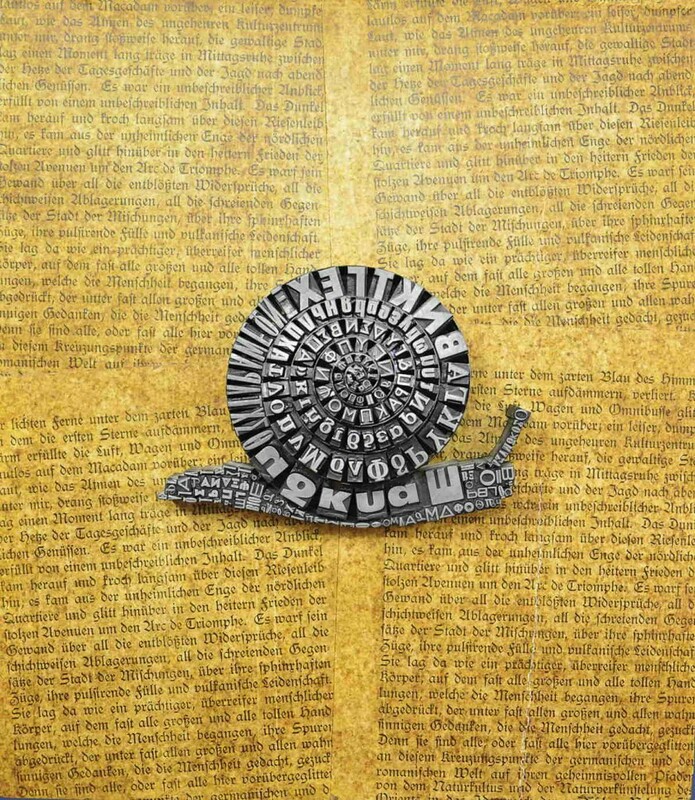 From cave drawings to computers, the artist-typographer Antonis Papantonopoulos narrates cleverly through his work the evolution of man’s effort to communicate through written words. 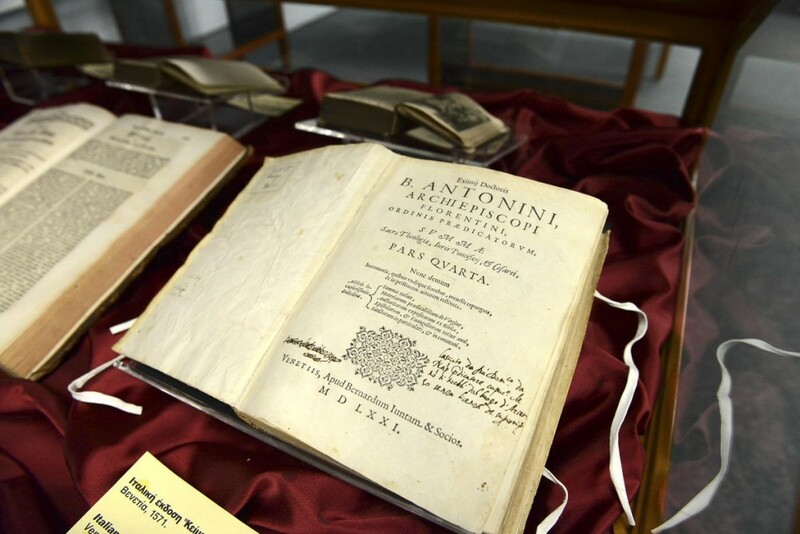 The hall was inaugurated last year, on the museum’s 10th birthday, and includes rare editions in latin, calligraphy guides, ancient greek texts, grammars, letters, religion and philosphy books as well as law. 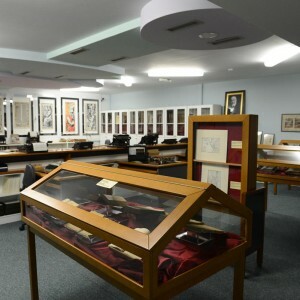 Most of the books n display are donated to the museum by collector Kostas Tzortzakis and were studied and presented by the Academy of Athens researcher Ioannis Karachristos. 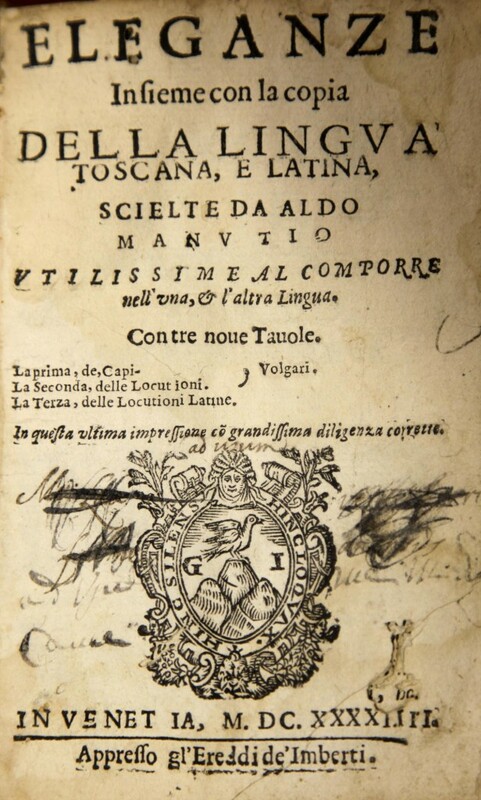 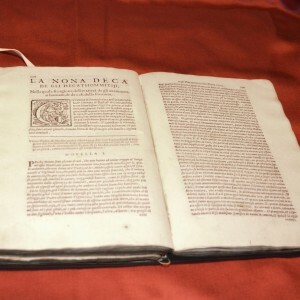 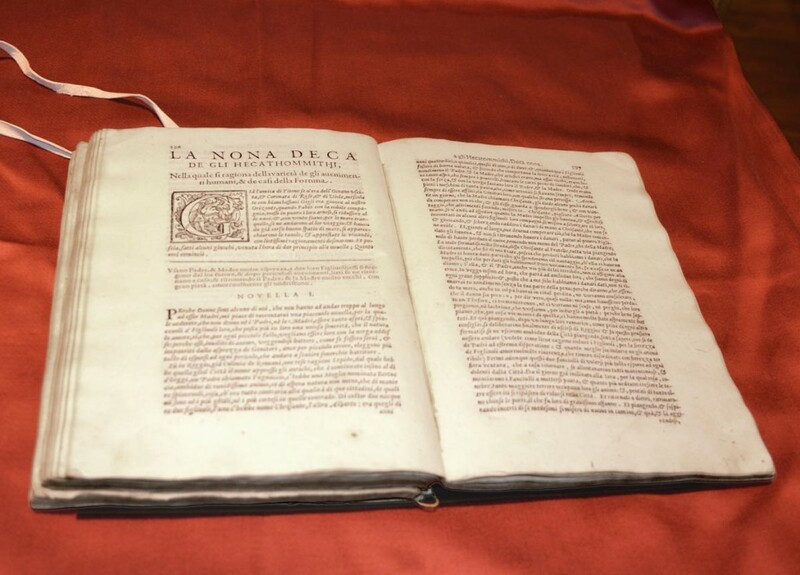 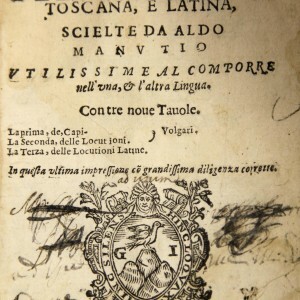 The collection consists of 26 books, published between 1554 and 1772, most of them from Venice. 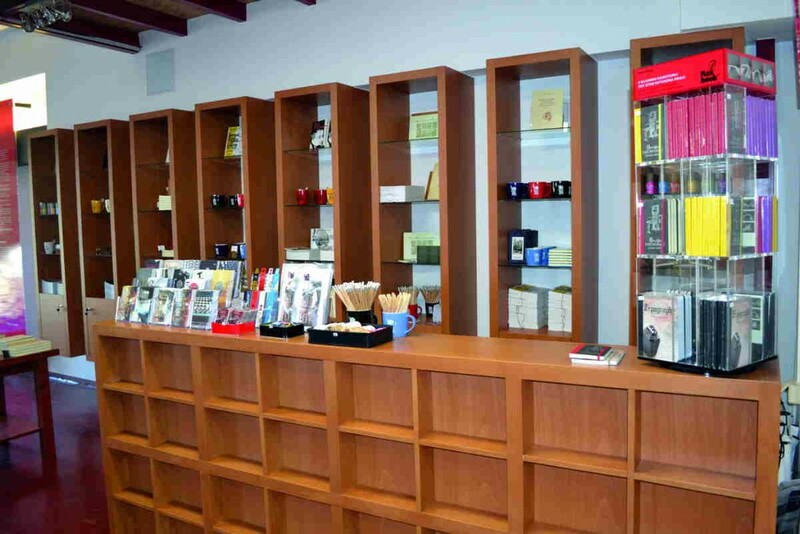 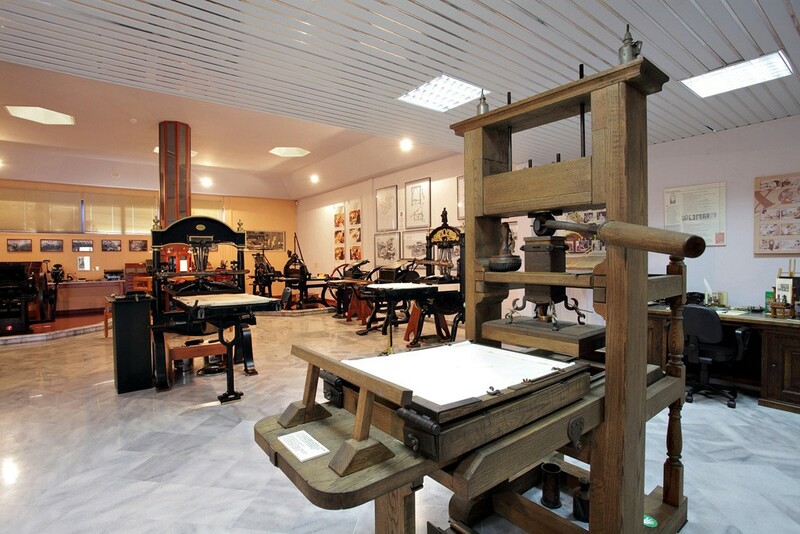 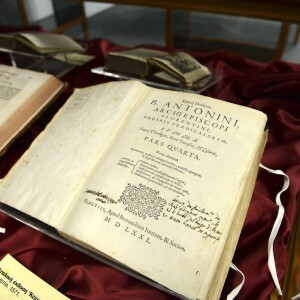 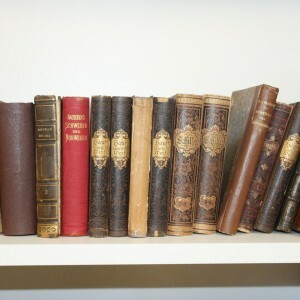 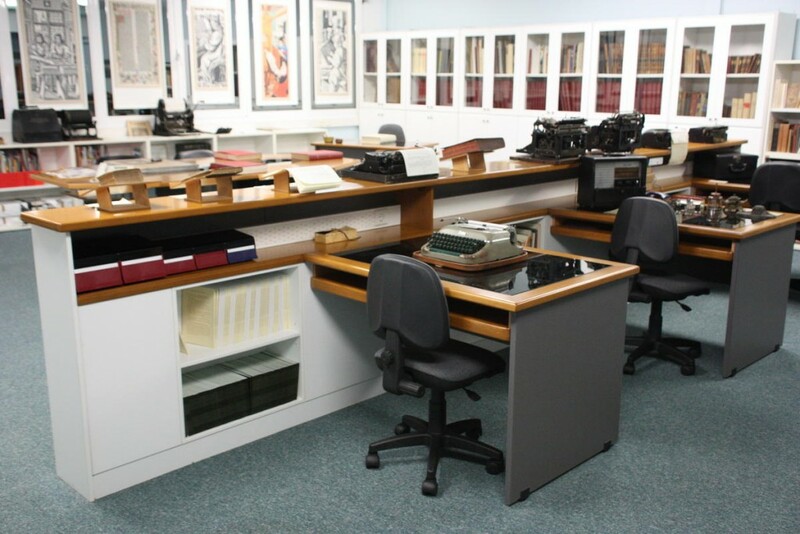 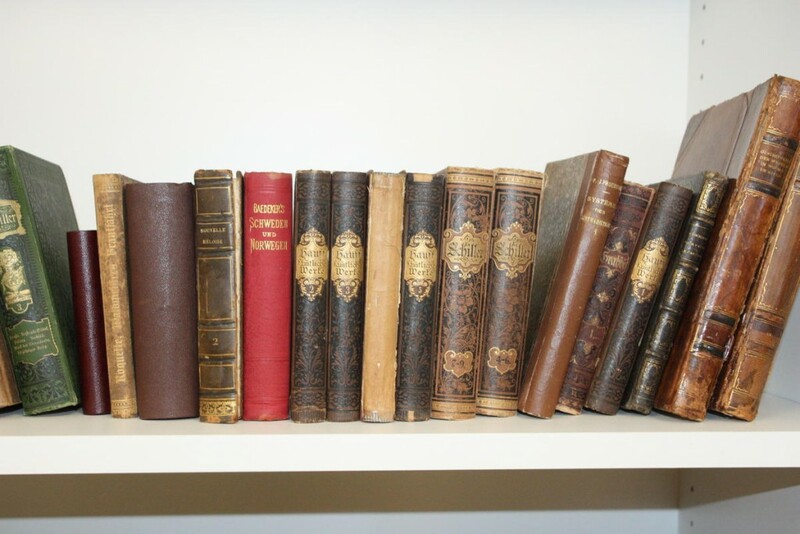 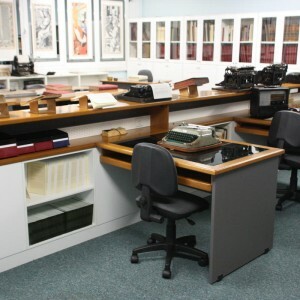 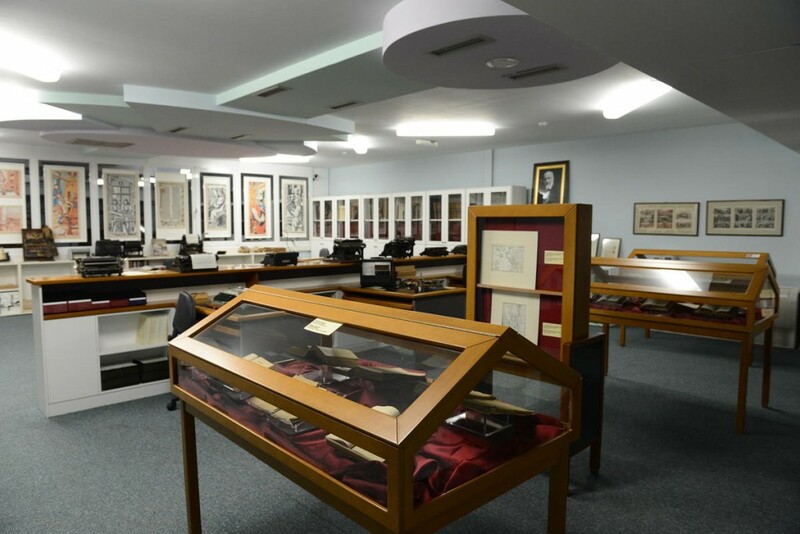 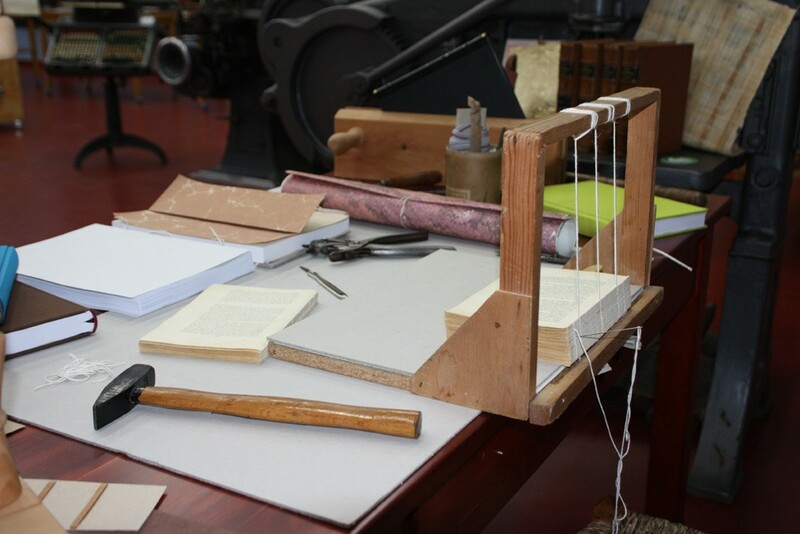 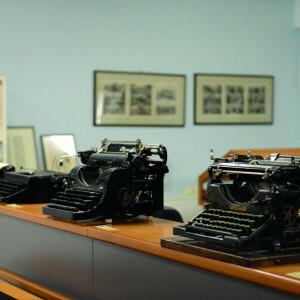 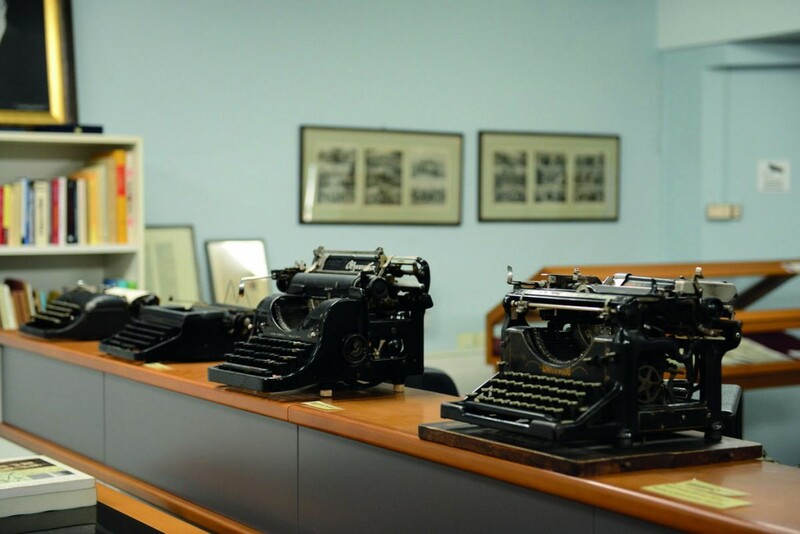 Precious books, typewriters, polygraphs, rare editions, the first newspapers that were published in Crete, maps, stamps, currency, greek and foreign publications on printing are just a few of the treasures of the museum library. 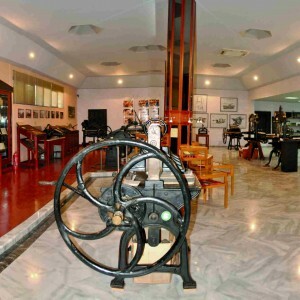 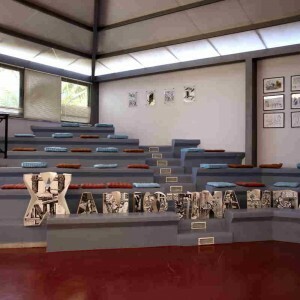 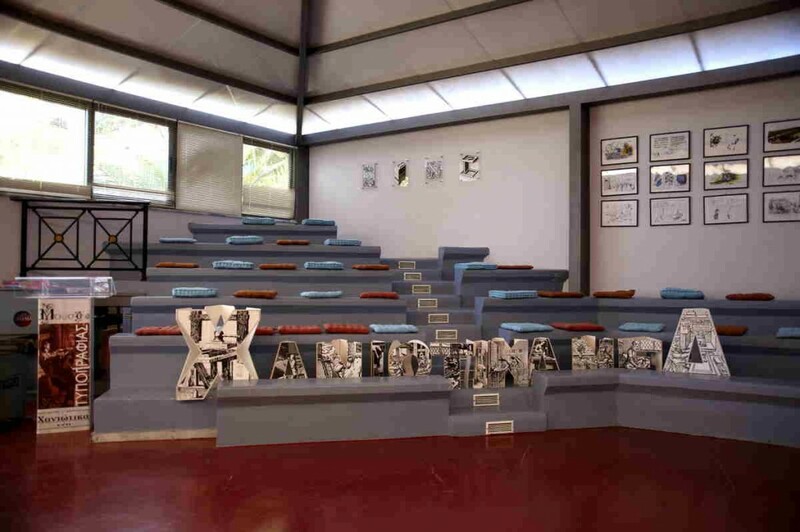 Part of the educational programs takes place here as well as video projections on printing and the cultural events organized by the museum. 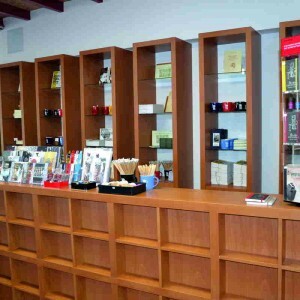 A bright and comfortable place, where visitors can rest after the tour and purchase souvenirs from a variety of gifts, publications, etc.